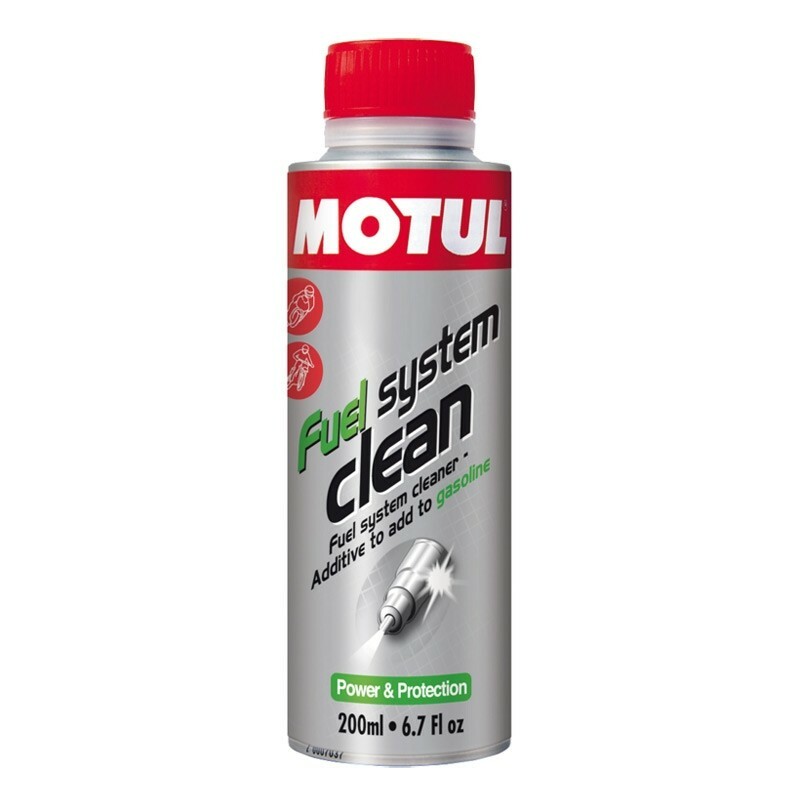 MOTUL Fuel System Clean can be used in all 4 stroke motorcycles to clean the entire fuel system. Soiling caused by the operation, e.g. : deposits in the combustion chamber and on valves, gumming in the carburettor, sticking of the injection nozzles, condensation in the fuel system can be removed reliably. MOTUL Fuel System Clean can be used in all 4 stroke motorcycles to clean the entire fuel system. Soiling caused by the operation, e.g. : deposits in the combustion chamber and on valves, gumming in the carburettor, sticking of the injection nozzles, condensation in the fuel system can be removed reliably. Highly effective lubrication components protect the fuel system during the cleaning process and prevent the deposit of loosened particles. A clean fuel system is the prerequisite for clean and effective combustion. With the regular use of MOTUL Fuel System Clean you achieve without any additional work an improved engine performance, marked saving in fuel, a longer life of the entire fuel system and of the catalytic converter and as well improved exhaust gas values. Stabilize the fuel and recommended for perfect fuel system conservation during winter storage. A can of 200 ml is sufficient for up to 20 litres of gasoline.